Thank you to MamaBuys for including my Manners Books! Delighted to discover that several of my books have been included on the Mamabuys Blog about Learning Manners,Good Habits and About Life. The bear family discovers that there is no such thing as monsters on a stormy day, much to everyone’s relief. A timeless story retold in simple language and vivid pictures. A question often asked, but a concept difficult to explain, time is brilliantly explained using a child’s birthday party as the focus. About two friends on a stormy day, being clumsy,getting angry and then making up. A simple story packed with emotions and beautiful illustrations. This entry was posted in Award-Winning, Bullying, Children's Picturebook, Consideration for Others, eBook, Kindness, magic word, Manners, Picture Book, sherrill s. Cannon, Uncategorized, Whining on September 7, 2017 by Sherrill S. Cannon. Heeding the advice of an amazon top reviewer, who suggested always “liking” a review that someone has taken time to write for me, I decided to go back and look at and “like” some of the reviews. This was a verified review from an “amazon customer”, so I thank you if you are reading this!!! And thank you to Gisela Hausmann for the suggestion!! This entry was posted in Award-Winning, Behavior, Children's Picturebook, Consideration for Others, Kid Fans, Manners, Picture Book, Review, Reviews, sherrill s. Cannon, Uncategorized, Whining on September 5, 2017 by Sherrill S. Cannon. As most of you know, my newest book, My Little Angel, will be released soon, and I have contacted many of my Kid Reviewers to request another review! I was delighted to get this response from Crystal of CastleviewAcademy.com confirming Tristan and Kallista are looking forward to another review! “You must have heard me tell the children earlier today that I had an email from you that need a reply 😉 Or maybe it was Kallista splashing some milk in her eyes and Tristan saying she would cry a lake of sour tears like the Whimper Whineys….Time continues to fly by! We’re doing more hands-on school at the moment which is fun, but more time consuming – but worth it for the learning and the time together! Tomorrow we’ll do an art project together – Kallista always calls them fingerpaint masterpieces – no matter what the medium. 9 Awards, including Illustration Award for Kalpart! This entry was posted in Art, Award-Winning, Behavior, Children's Picturebook, Consideration for Others, eBook, Fingerpaint, Manners, Picture Book, sherrill s. Cannon, Uncategorized, Whining on February 24, 2017 by Sherrill S. Cannon. Peter and the Whimper-Whineys is a Whine Stopper! Another reminder for Christmas giving! 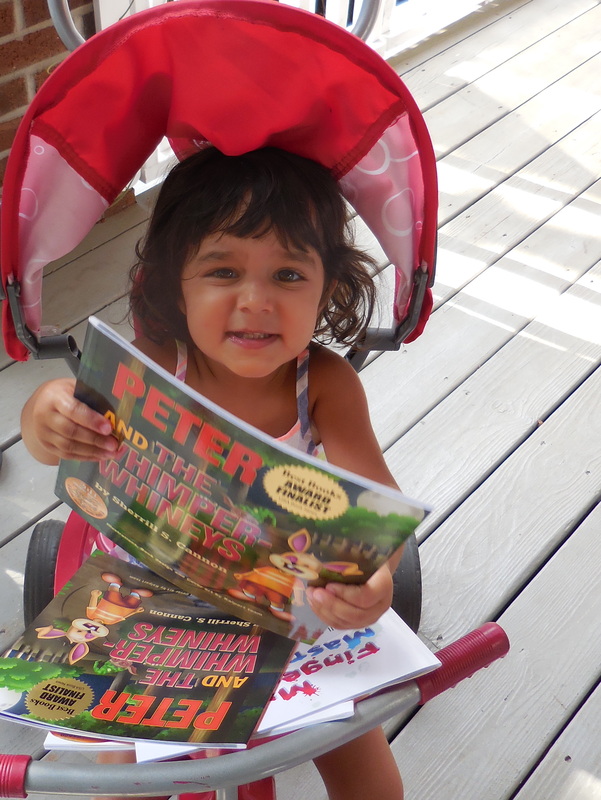 Peter and the Whimper-Whineys helps parents cope with whining, disguised as a fun story! Peter is a little rabbit who whines all the time, and his mother warns him that if he doesn’t stop he’ll have to go live with the Whimper-Whineys! The story is especially effective when the reader uses a whining voice whenever a character whines. Children learn how annoying the sound of whining can be! 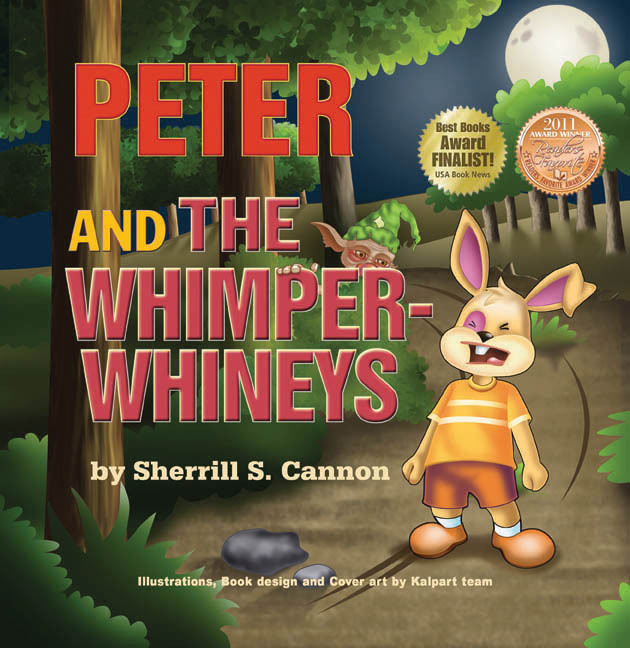 Peter and the Whimper-Whineys is the Winner of 2 Awards: Winner of the 2011 Readers Favorite Bronze Medal and the 2011 USA Best Books Finalist Award, the year I first discovered the fun of entering contests!! This entry was posted in Award-Winning, Behavior, Children's Picturebook, Manners, Picture Book, sherrill s. Cannon, Uncategorized, Whining on December 7, 2016 by Sherrill S. Cannon. it provides a useful resource for simple child development. New episodes are added every Mon./Wed./Sat. at 8:00 a.m. EST. 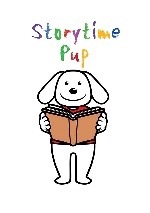 http://www.youtube.com/storytimepupchannel. Oh, and be sure to hit the “subscribe” button! This entry was posted in Award-Winning, Behavior, Children's Picturebook, Kid Fans, Picture Book, Review, Reviews, sherrill s. Cannon, Uncategorized, Whining on August 18, 2016 by Sherrill S. Cannon. Wonderful Review on the Huffington Post website for Peter and the Whimper-Whineys! Thanks to Storytime Pup for sharing! This entry was posted in Award-Winning, Behavior, Children's Picturebook, Kid Fans, Manners, Picture Book, Review, Reviews, sherrill s. Cannon, Uncategorized, Whining on August 3, 2016 by Sherrill S. Cannon. Love to get photos like this! This entry was posted in Children's Picturebook, Kid Fans, Picture Book, sherrill s. Cannon, Uncategorized, Whining on July 30, 2016 by Sherrill S. Cannon.